Are you looking for Dodge dealerships in indianapolis? Do you want to find a quality used pickup truck? If you then stop by our dealership and see us here at Acra Auto if you are looking to buy a new or used vehicle. Having a pickup truck can be an incredible vehicle to own solely for the versatility that it offers and with the towing capacity to be able to haul just about anything whether its a boat, a camper or a trailer to pull around or any other type of equipment that you may need to use it for such as for your business or side jobs. If you own other off-road vehicles such as ATVs or Motorcycles, then you will appreciate having a truck to be able to do the things that you enjoy the most in life. You can't go wrong having used trucks for sale to use at your convenience, and if you enjoy doing outside activities, or you have your own business or side job which keeps you busy, then owning a truck can give you the ability to do more with your family or earn the extra cash you need. When searching for pickup trucks for sale, what are you looking for when you go out car shopping? Do you want a truck that is affordable? Do you want one that has some nice features and options? If so, come by Acra Auto and take a look at this 2005 Dodge Ram which has Automatic Transmission, Cruise Control, AC, a Single Disk CD Player, Steering Wheel Controls, Power Windows and Power Door Locks, Heated Mirrors, Auxiliary Power Outlet, Power Drivers Seat, and much more. 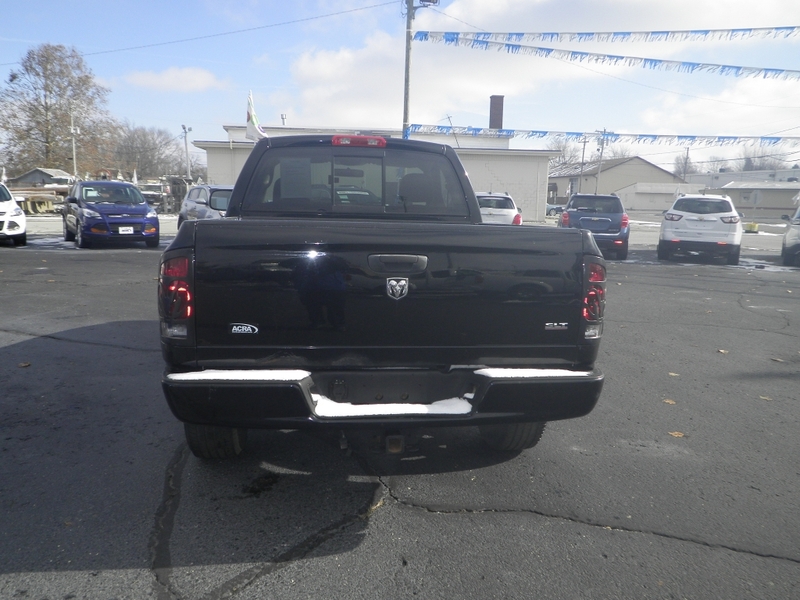 Whether you are searching for a truck or another type of vehicle and you want to find dodge dealerships in indiana with new and used cars, then stop by Acra Auto to see a large inventory of makes and models of vehicles in different styles, colors and price range. We want to make sure we have a lot of selection of cars, trucks, and minivans so that when you come in you will have choices. When you stop by our dealership here at Acra Auto, you will see the latest models of new cars to some older less expensive vehicles. We carry a large inventory of cars for you to see, so that you can make a good choice on the vehicle that is best suited for you. 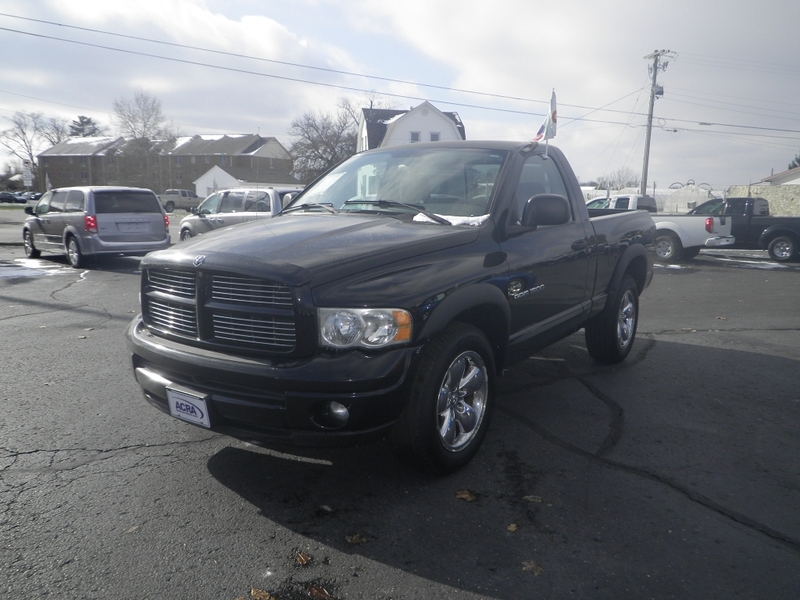 If you are on a budget, our sales staff can work with you to find a truck that is affordable, like the 2005 Dodge Ram which is priced less than 10k. So finding a vehicle that is within your budget is what you will find when you stop by and see us at Acra Auto. When you are ready to start your search for used trucks near you, come by the dealership where you can find new, used, certified pre-owned vehicles at prices that you can afford, right here at Acra Auto. We hope you will stop by today!